Hvert år dør nesten 14 millioner mennesker av infeksjonssykdommer. Den største andelen skyldes luftveisinfeksjoner. Dette er rammen for fredagsforelesningen 16. mai som holdes av Terje Espevik ved Senter for Molekylær Inflammasjonsforskning (CEMIR). Bibliotek for medisin og helse anbefaler hver uke et utvalg bøker som er aktuelle for temaet til fredagsforelesninga. Se program for alle fredagsforelesningene her. The book presents the state-or-the-art in the diagnostic uses of radiologic imaging and nuclear medicine in the diagnosis and management of infectious and inflammatory diseases. Compiling wide-ranging topics, including inflammatory bowel diseases, orthopaedic infections, tuberculosis, HIV, vascular prosthesis infection, FUO, endocarditis, rheumatoid arthritis, and neurological infections, each chapter concludes with a carefully developed algorithmic flowchart for the management of patients with inflammation and infection. 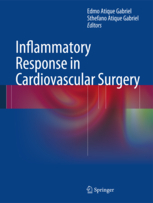 Inflammatory Response in Cardiovascular Surgery includes the most recent and exciting topics regarding the relationship between inflammation and cardiovascular surgery. 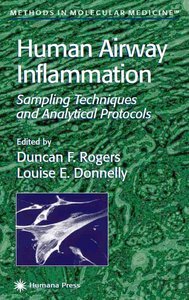 It provides comprehensive instruction to assist understanding of the inflammatory mechanisms involved and clarifies the basic immunologic and physiologic concepts. 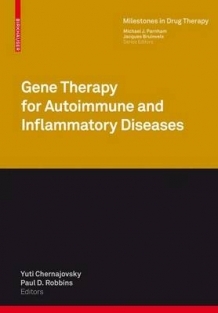 This book addresses the latest advances in viral and non-viral vectors, novel targets and methods for the treatment of autoimmune and inflammatory disease with a main focus in pre-clinical testing with up to date clinical trials. This book offers a wide range of readily reproducible methods for sampling, isolating, and culturing all of the major inflammatory cells involved in the pathophysiology of asthma and COPD. The collection of techniques detailed here involve biopsy and sampling of airway liquids such as sputum and exhaled gases such as nitric oxide. Beinmargskreft – kan økt BMP-aktivitet brukes som behandling?